Product code: 611 Categories: Sold Items, Sold Jewellery. 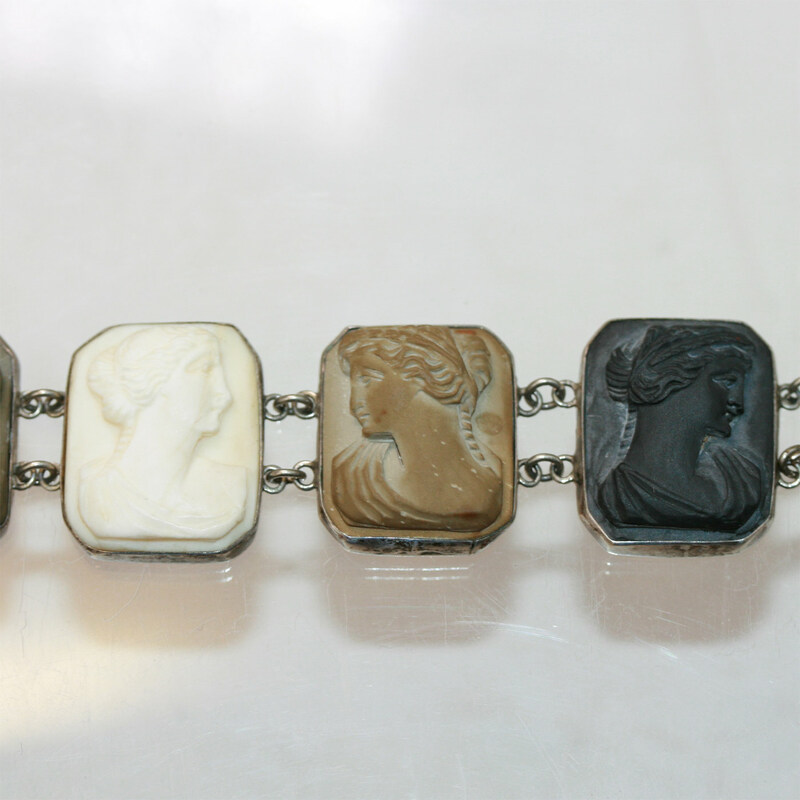 This is for all of you Victorian era cameo lovers out there who are after something quite special! 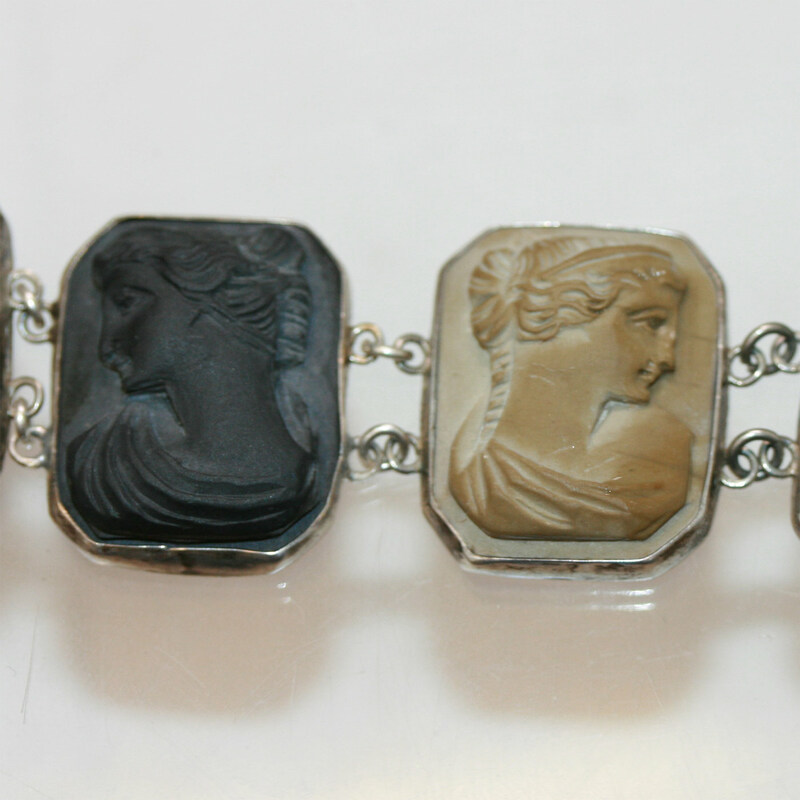 Made in the Mid-Victorian era of the 1860’s, these hand carved cameos are made of volcanic lava and are set in silver. In total there are 9 wonderful cameos of varing colours. The bracelet looks stunning during the day or the night, and the carvings are simply superb. This is a bracelet that will get the attention it deserves when it is worn on your wrist, and will be something that will be treasured for a lifetime.